This post with 5 reasons I love the Adobe Creative Cloud Photography Plan is part of a sponsored post written by me on behalf of Best Buy. The reviewer has been compensated in the form of a Best Buy Gift Card and/or received the product/service at a reduced price or for free. If you dabble much in digital photography or graphic design, odds are you’ve heard of Adobe Photoshop. It’s something I always wanted to use, but it always felt like it was reserved for the true professionals as it was once software you purchased for hundreds of dollars. Photoshop is definitely worth the money for all the magic it can do, but for many of us that are self-employed, it was just out of reach of our business budget. Thankfully in the last couple years that has all changed and today I’m happy to share 5 reasons I love the Adobe Creative Cloud Photography Plan. 1. It’s affordable. As I mentioned before, to get Adobe’s Photoshop and other awesome software programs, you could expect to spend literally at least hundreds of dollars. Because of this, it was always out of my reach but now it’s easily affordable thanks to the Adobe Creative Cloud Photography Plan. Now for just $119.99 at BestBuy.com, I can get access to my favorite photo editing software for a whole year. Since I take so many photos of our cats, nature and for this website, I use Photoshop almost every day, so I really feel like I’m getting my money’s worth. 2. It can be used on multiple devices. Many of us have multiple devices today between our desktop, laptop, phone, tablet and other mobile devices. One thing I didn’t realize until recently is that with the Adobe Creative Cloud, you can get access to the software on multiple devices. I like that I can have it installed on my desktop, laptop and even be able to edit photos on my iPad while only paying for one subscription. Plus, you can not only edit images anywhere, but also save and share them, too. Everything is automatically updated everywhere thanks to Adobe CreativeSync Technology. 3. You always have the latest version. One thing I really like about using the Adobe Creative Cloud Photography Plan is that you always have access to the latest versions. Adobe has always been really good about adding some really nice new features when they release a version of their software, but even if you could afford to buy the software to begin with, it wasn’t always affordable to spend the hundreds to get the new version when it came out. Being affordable along with always having the latest version? Yes, please! As you can see, unedited the first photo looks rather dark and drab. After a bit of brightening, the colors pop more and look more appetizing. 4. You get access to two great photo editing programs. I know I keep going on and on about Photoshop since it’s the program I’ve been using on and off for years as I’ve been able to, but I think it’s important to point out that you also get access to Lightroom as part of the Photography plan. I’ve not used Lightroom too much, but I know several people that love it for photography editing and it has some neat features like presets you can apply to groups of photos that I look forward to trying out. 5. There are endless editing and creating options. Photoshop has been thought of as software made just for professionals for years. After all, we’ve all seen the various videos of artists editing photos of models and the like. However, it can be useful for the whole family. With a little practice, you can easily brighten up family photos, make prints of your favorite nature shots and even create projects like making your own holiday cards. My personal favorite way to use Photoshop is to help make my photos pop. 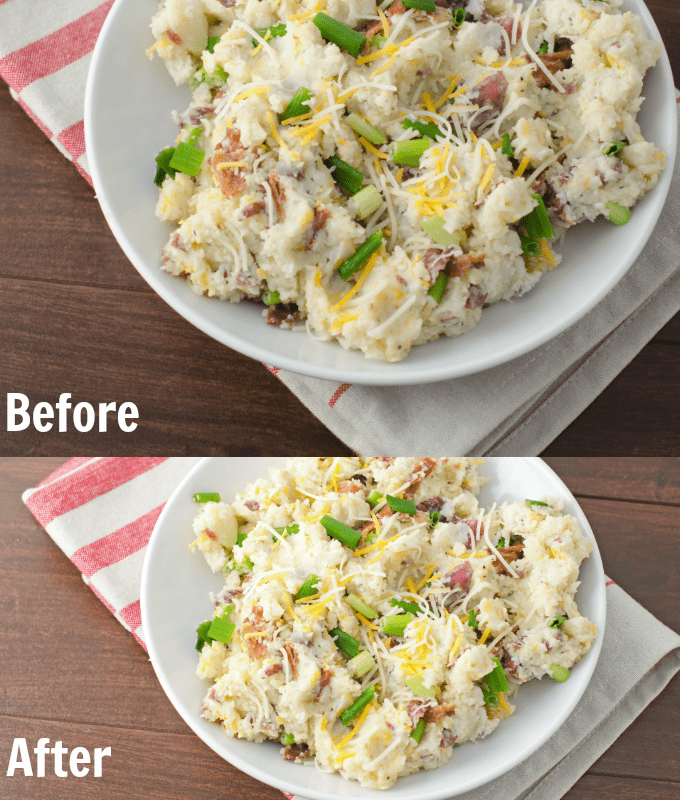 I don’t always have the best light to shoot my recipes in, but with Photoshop I can easily lighten up my shots and make the colors a bit more vivid. You can also easily cover up extra crumbs you didn’t even see when you were taking the photos. 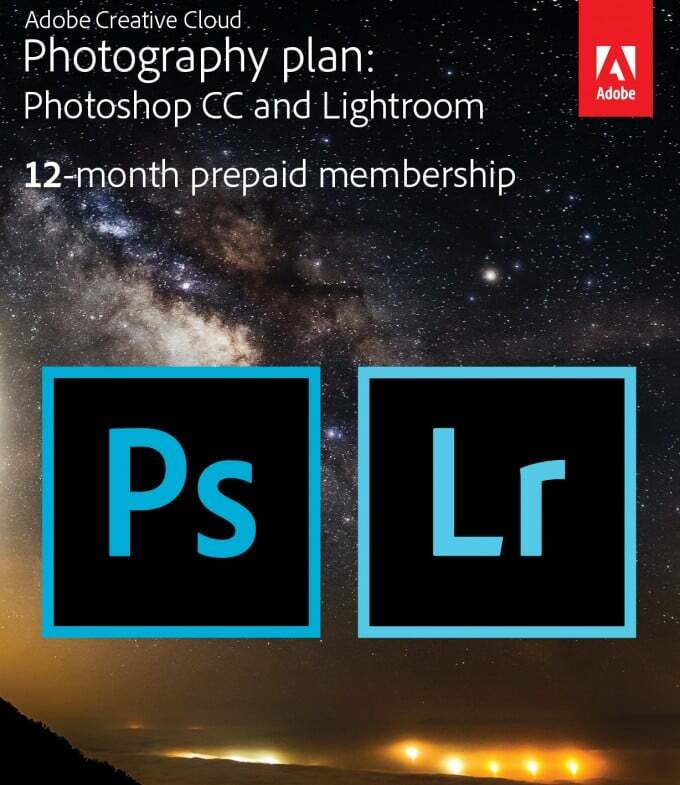 I think Adobe’s tagline for this bundle being “Take your best shot and make it even better with the Creative Cloud Photography Plan.” is absolutely perfect. Have you ever used Photoshop or Lightroom? If so, what do you love about the programs? If not, does the more affordable price make them appeal to you more? « Looking For A New Laptop? See Why the Toshiba Satellite Radius 12 May Be For You!